/ What About Quitting Smokeless Tobacco? So many people think that just because they don’t light up a cigarette, they are immune from quitting smokeless tobacco. They don’t associate the risks of tobacco and nicotine on their bodies and they don’t realize that they are just as likely to get cancers and develop health problems as people who smoke up to 20 cigarettes a day. Smokeless tobacco is not a safe alternative to smoking and we are going to tell you why. Read on now and find out why giving up smokeless tobacco is just as important as giving up smoking. You may not even be thinking about quitting smokeless tobacco because you don’t think that the risks apply to you. Well, unfortunately, they do. Just because you don’t inhale the nicotine into your lungs through smoke, doesn’t mean that it isn’t getting into your system and causing your body all sorts of problems. Nicotine in your system still suppresses your immunity to illnesses which means that if you have any genes lurking that want to cause cancer, they will be able to do so without much of a fight from you. Of course, there are additional worries of oral cancers due to the fact that the tobacco is spending more time in your mouth than standard smoke would. Some people think that smokeless tobacco is a safe alternative to smoking cigarettes and will take this up instead of quitting completely. Well, it really isn’t and if you want to become healthier then you have to stay away from tobacco completely, whether you are smoking it or not. There are lots of different ways that you can replace the nicotine (the drug which you are really addicted to) by using nicotine replacement products which you can buy from your local pharmacy or drug store. These are the only safer alternative when you are trying to give up smoking and they will help you to become truly smoke-free. Quitting smokeless tobacco is not an easy thing to do and you will need just as much willpower as you do to give up regular smoking. 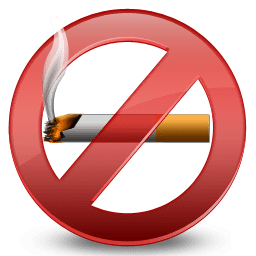 But with some determination, some help from nicotine replacement products and some serious willpower, you will be able to go smoke-free, you will be able to get healthier and you will be able to reduce the risk of many different types of cancer so that you can have a long and happy life.